Description Faded, mounted on embossed cardboard; scanned as B & W, spots & abrasions; same as 217b. 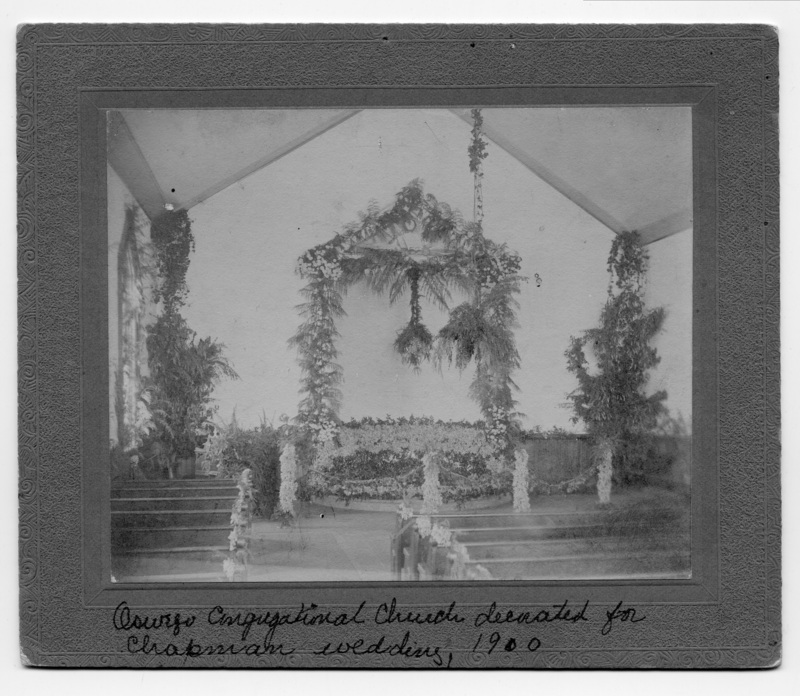 Church at the corner of 4th & D. Written on front: Oswego Congregational Church decorated for Chapman wedding, 1900. Physical Description H 5 1/4" x W 6 1/4"